My attack jeep holds 3000 rds of 50 cal, 2000 rds of 308 and 2000 rds of .556 ammo. All four machine guns can be fired from inside the vehicle. COOL !!! Colorado shooting range owner Mel “Dragon Man” Bernstein, who has his own mini-museum and has been described as the “most armed man in America,” does not drive your typical grocery getter. Bernstein shows off the coolness of an antique WWII-era .50-caliber BMG ammunition linker in the above video. 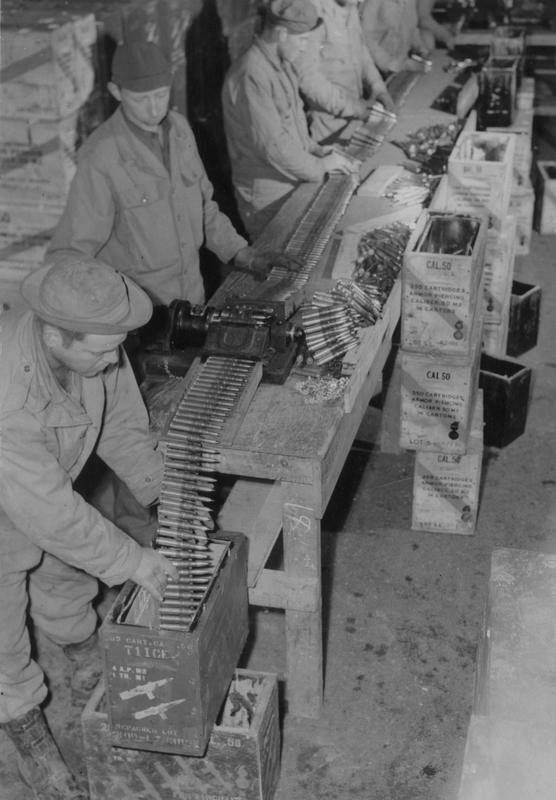 The reason he needs it is to turn 300-round crates of 1960s milsurp 660-grain yellow-tip into functional belts for his M2 Brownings, for which he carries 3,000 rounds loaded in his Attack Jeep. 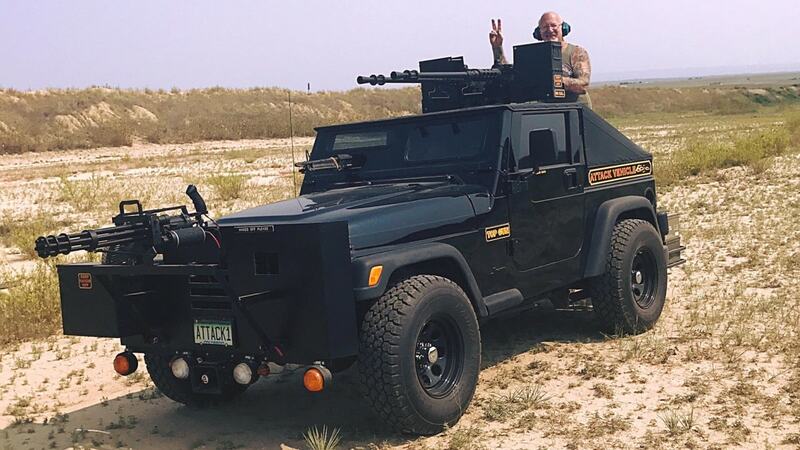 Along with another 2,000 rounds of .308 for a dash-mounted M60 and 2,000 rds of .556 ammo for the Minigun hood ornament, the loadout keeps the Jeep pretty stocked. Be sure to stick around as he shows off the electrically-fired twin .50s (all four machine guns can be fired from inside the vehicle) and you won’t be disappointed.